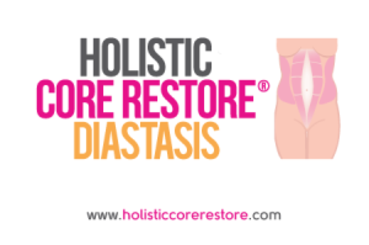 If you’ve had a baby, no matter how long ago and you have a Diastasis Recti or feel disconnected to your Core and/or Pelvic Floor then HCR Diastasis is the programme you’ve been waiting for. A BESPOKE programme grounded by a hands-on assessment and clear direction on ESSENTIAL healing nutrition, clear instructions on helpful and non-helpful lifestyle choices and most importantly a safe, ’functional’ and modern movement and exercise programme that will help you heal your Diastasis, improve your Core function and guarantee you a better looking belly and a Pelvic Floor that does its job. Most women have never been told WHY this happens and what are the mechanics of Diastasis and why traditional abdominal work they performed before their pregnancy won’t work now in this healing phase. Most women have never been told the HUGE role that optimal nutrition and hydration play in this healing phase. Most women have never been told about the link between the abdominal wall, Pelvic Floor, Diastasis and how they breathe! Most women have never been provided with a BESPOKE (made just for them) restorative programme that takes them from the early days of healing right back to fully restored. Most women have never been provided with a programme that gives them the tools to protect their healing core (Abdominals and Pelvic Floor) while they get on with the demands of life and motherhood. This programme is dedicated to helping the client understand what’s happened. Knowing the Why’s and What’s matter A LOT! We will get hands-on with every woman going through the programme. Every programme is based on a 1-1 consultation followed by prescription for what is best for that client. The programme starts by getting the basics of posture and alignment, with a little massage if needed to bring balance to your entire body. It’s a phased programme where the exercises are progressed over time. I will be with you all of the way, ensuring your progress towards your goal and also that your route to success is adjusted as required. You will be coached in ‘self-care’ strategies for your Core and Pelvic Health for life. You’re provided with all the exercise kit you need and a 28-page educational booklet to help you really understand the process and the facts about Diastasis. The programme has a strong focus on NUTRITION! 100%. We heal from the INSIDE OUT! And I have simple but highly effective strategies for helping you get the specific vitamins and minerals required to heal your Diastasis into your diet easily. We employ ‘CAN DO’ strategies for helping you REST and DE-STRESS. The high cortisol levels associated with the Post Natal period or stressful life also retard healing and cause you to hold fat around your middle. This programme helps you to help yourself to not only a better-looking belly but one that FUNCTIONS and supports your Pelvic, Core and overall health. Please be reassured that if your condition is beyond the scope of this programme we will refer you to a clinical specialist with no charge after your screening. Healing a Diastasis Recti is a WHOLE BODY ISSUE, it’s not just about exercise, it’s not just about the woman’s belly and it’s not just about the gap! A deep assessment is required to start with then a programme that focusses on nutrition for healing, the woman’s breathing strategy and postural alignment, all need to be considered BEFORE we apply exercise and load. Our programme has been tried and tested by hundreds of women and received rave reviews. Improve your belly, rid yourself of back pain, reconnect to your Pelvic Floor so that you both FEEL and FUNCTION better. Do you have a Rectus Diastasis (Tummy Gap) that you want to heal? Do you want a better-looking belly but know it’s an inside out job so need to go deeper and work smarter than just doing ‘sit-ups’? Are you ready to prioritise this area of your health and learn ESSENTIAL skills to last you a lifetime? After you’ve gone through our full 4-Point Hands-On Deep Pre-Screening, you’ll then be all set to attend for your first session where you’ll receive your HCR Client Education Booklet and the items of fitness kit required for the course. I will then provide you with your own BESPOKE homework and recovery tasks completely tailored to suit where you are on your journey. This programme may require abdominal/visceral massage if necessary to combat possible scar tissue/adhesions associated with abdominal trauma (I will recommend suitable therapists for this work). You’ll also receive your login details for the HCR Online Platform via email which will allow you to log in and view your additional filmed homework and healing education film and colour recipe booklet. We ask for the 10-minute homework video to be carried out 3-4 times per week. Both homework and following the HCR Nutrition Guidelines are an essential part of the puzzle and when followed will truly improve your results and the value you derive from the programme. The Homework exercises are progressed and so over times, as your strength and co-ordination improves, the exercises will become more challenging. You can follow this programme either face to face or via Skype. The length of time it takes to heal a diastasis depends on each individual situation; how large the gap is to begin with and how committed the woman is to the nutrition and exercise. Cost One-on-One £180 for 3 sessions. Then if further sessions are required they will be at £50 per session. If your tummy gap is relatively small, we have had some women attend the Every Woman group course who successfully closed their gap over the period of an every Woman course, so you could try this first of all. This may be a possibility if cost is an issue. Please call me to discuss (Erica 07918 641672).